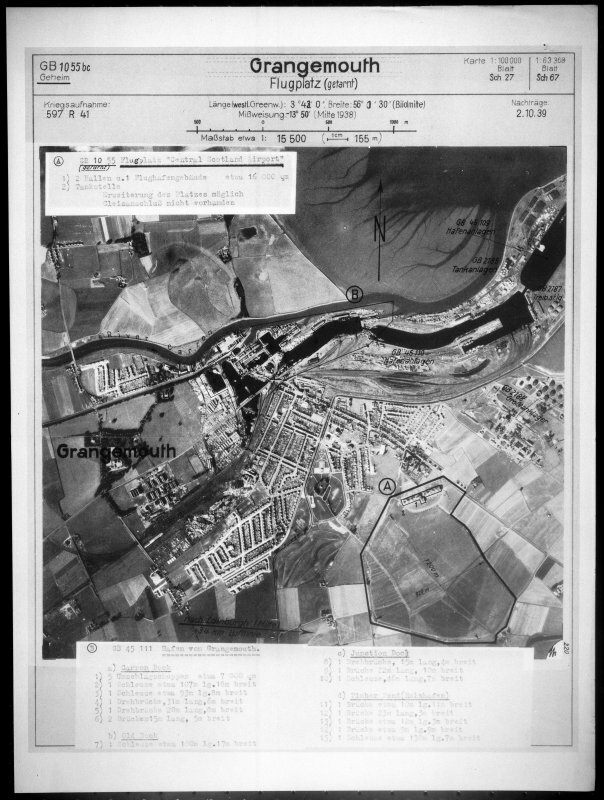 Lufwatffe vertical air photograph of Grangemouth including the airfield. For WWII road block at NS c. 9378 8160, see NS98SW 87. Now totally obliterated by the BP oil refinery and other industrial development. 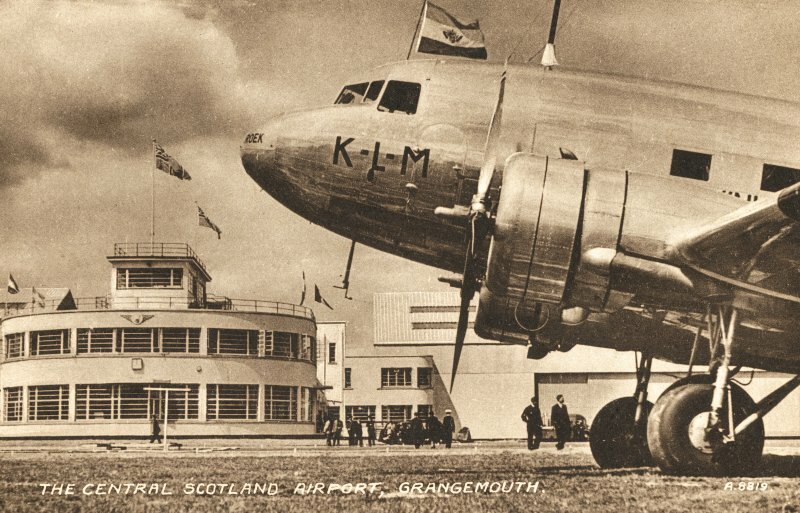 This airfield falls in an area bounded by the A904, B9143, B9132 and A905 roads. The only surviving elements of the airfield are the two large hangars which have been modified. These are in use as factory units within an industrial estate.